In line with its commitment to helping close the health protection gap, British life insurer Pru Life UK, together with its regional headquarter Prudential Corporation Asia, is at the forefront of promoting accessible supplementary health solutions to help more Filipinos mitigate healthcare costs and reduce out-of-pocket medical expenses. 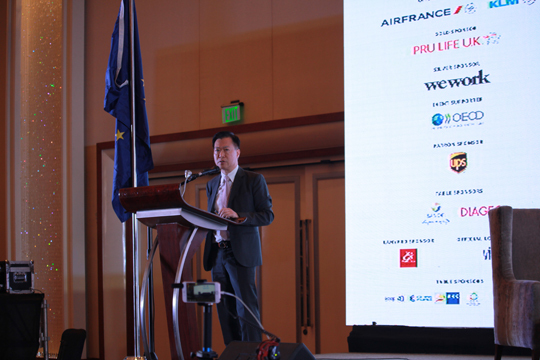 Pru Life UK, a subsidiary of international financial services group Prudential plc, sponsored this year’s EU-Philippines Business Summit, a high-level event which gathered around 350 participants from the government and private sectors in the country. The Department of Health estimates that one out of three Filipinos dies before the age of 70 from a non-communicable disease due to lifestyle choices, such as tobacco, diet, and physical inactivity. Over the past years, Prudential has launched a wide range of health insurance solutions to complement its traditional life insurance policy offerings. These solutions are aimed at meeting the evolving needs of its customers as well as helping them live healthier and longer lives. In Asia, Prudential is a leading provider of medical insurance with over five million health customers and premium income exceeding £800 million in 2017. The holistic propositions have many benefits. The prevention approach covers lifestyle and wellness solutions such as sleep and diet tracking and coaching, as well as risk factor identification such as DNA analysis and health assessments to monitor current and future health risk factors. The postponement approach, on the other hand, focuses on disease management and recovery, while the protection approach covers triage, symptom diagnosis, telemedicine, electronic prescription and medical consultation.